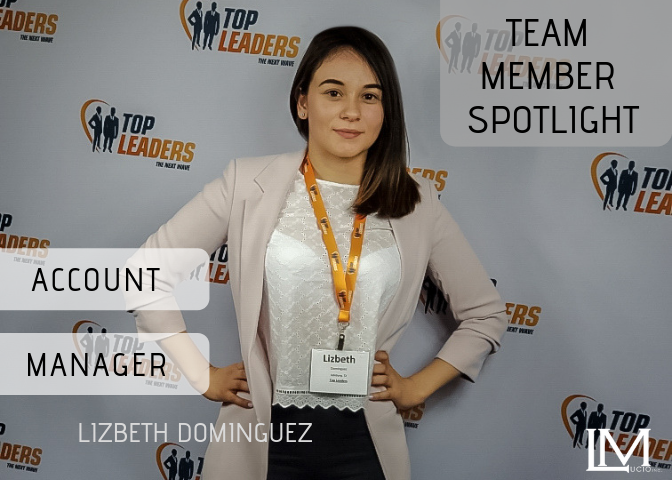 TEAM MEMBER SPOTLIGHT SERIES: Lizbeth Dominguez | Lucio Marketing, Inc. 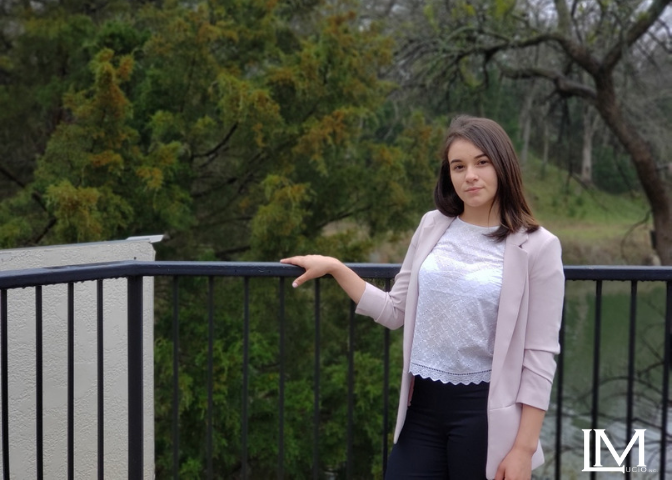 Welcome to our Team Member Spotlight Series, in which we sit down with one team member in a rapid fire Q&A to find out a little bit about the people who make up Lucio Marketing Inc.
Meet Lizbeth Dominguez, an essential team member here at Lucio Marketing. We are very excited to have Lizbeth on board our ever-growing team. She is currently one of our top Account Managers and currently thriving in managing multiple campaigns. Lizbeth has surprised our administrative and management team with her determination and tenacity. With every new project and role that has been introduced to her, she has set out to be a trail blazer and role model for the rest of our team. Lizbeth has taken part in company travel, national training conferences, and new client management. As a result of her hard work, Lizbeth has been chosen to be featured in the Lucio Marketing Team Member Spotlight Series. We are happy to witness her professional growth and are very excited to see what more she can accomplish with our continued support. A: I have worked with Lucio Marketing since September 2018. Q: What interested you in applying? A: I was really excited for the opportunity to grow and develop myself into the management program. A: My favorite part is the environment. It is positive and awesome. We get to learn, network and grow as individuals. A: My drive is my little boy. I want to offer him more opportunities then I had growing up. A: Photography, videos and digital design. Creating things that can catch people's eye. A: Orlando Florida Disney World!! A: The person I was when I started working here is not even close to who I am today. I have learned so many valuable professional and life skills. A: Really professional and with high standards. A:TEAM NIGHTS!!! After a hard day’s work, we get to enjoy some time together to relax and network. A:The day I got invited to travel to Dallas for the Top Leaders Meeting was definitely unforgettable. A: Anything but sad songs! A: "I am willing to go the extra mile that some won't to achieve excellence." A: I learned to manage my finances, improve my personal savings, and how to invest. A: My advice would be that Lucio Marketing is great for people who want to grow in business and to accomplish financial growth. A: One important tip is there is no seniority in this business. You only get out what you put in. If you want to find out more about Lizbeth Dominguez’s work or about Lucio Marketing and what we do, follow us on our social media channels.